Are you having a hard time choosing where to live in Dubai? This guide provides everything you need to consider as an expat and more. Choosing the correct area to reside in is the key to your happiness while living in Dubai. The place you settle in will depend on whether you are married or not, whether you have children and pets or not, and what you like to do during your spare time. The kind of work you do and location of your workplace are also some of the crucial factors to consider when making your decision. Rush hours in Dubai run from 7-9 a.m. and 5-7 p.m. In the morning, the traffic jam is from north to south. In the evenings, traffic is heavy from south to north. This is because of the large number of people living in and moving to Sharjah and working in the Jebel Ali area. The congestion is caused by school and work traffic. As such, it is important for you to take a look at where you’ll be working or where your kids will be attending school. From there, try and get a happy medium. But since there are plenty of continuous road improvements to ease the flow of traffic, things can sometimes be improved overnight. Decades ago, all accommodation must be paid with one annual cheque; this means that you were required to pay a year’s worth of rent upfront. But because of the recent economic crisis, many banks are now refraining from lending such a huge amount of money. Also, few people are willing to put this large amount on their credit cards. Today, landlords are becoming more flexible. Thus, you can pay with 2-4 cheques per year. Although you may pay a higher rental rate, this can be a far better option than paying the entire amount at once. You will need to give all cheques for the entire year to your landlord ahead of time. Always make sure that the money is in your bank account on or before the next cheque’s due date. 3. Make a Decision: Villa Or Apartment? Most people have the dream of living in a villa with a beautiful garden and swimming pool, but not everyone can afford this. When choosing between a villa and a flat, you must be practical with your finances. Here are some of the main points of difference between these two options to help you make an informed decision. Villa – Privacy is the key benefit of living in a villa. Also, you will have a garden that you can take advantage of and more car parking space; some also come with a swimming pool. However, this option comes with higher bills for water and electricity and maintenance charges. Moreover, it is more expensive to furnish and you can feel isolated if you’re not in a gated community. Doing housework can be an enormous task, which often prompts most expats to hire helpers. Apartment – Living in a flat is more practical and economical. It is cheaper to furnish, easier to clean, and has 24-hour security. You can control your service bills. Lots of apartment blocks have a shared pool and gym. Sometimes, they have shops as well, so you won’t feel isolated. However, you might get less space indoors, you’re likely to live in close proximity to other people, and there is only one parking space included with your flat. Moreover, you might be bothered by the noise from other flats. If you have a pet, you must take your their well-being into consideration when choosing where to live. There are villas that permit tenants to live with pets; be sure to confirm this first with the landlord. If you choose to live in an apartment, keep in mind that most don’t allow pets. Before bringing your canine or feline with you, check your lease for details or ask your landlord ahead of time to avoid any potential issues. Online property searches have become more convenient in the past years. You can look into property listings to find out what is currently available. You can search by area, the number of bedrooms, your budget, and more. You can also request additional information on specific areas. Apart from that, you can go to an agency. Ask them to help you find what you are looking for. But remember that when you are dealing with an agency, you will need to pay them a fee. This is about 5%-15% of the annual rent. If the fee is considerably high, you can go for a drive around your chosen area instead to see if there are any vacant properties there. Often, such properties will have a sign with a phone number you can call so you can make direct inquiries yourself. This is among the best options for families moving to Dubai. It is a gated community made up of villas. Some are semi-detached while the others are grand palaces with private pools and gardens. Those that don’t have a pool have a shared, well-maintained pool within walking distance. Also, there are safe play areas for children. Moreover, there is a golf club, a shopping center, a small hotel and good restaurants within the community. Its only disadvantage is that it is quite a way out in the desert so it will take you about 20 minutes to reach the Dubai center. You can choose between a villa on the fronds or an apartment on the trunk of the palm. The sea air, space and the famous neighborhood make it a highly sought-after residence in Dubai. The trunk is lined with apartment buildings and hotels. The villas are huge and nestled into quiet impasses, which make them ideal for raising kids. These areas are all more or less in the same area as they are found along the coast past the Palm Jumeirah. They offer a wide range of properties with excellent views of the sea, the lakes and the canals. You can choose any from these areas if you are fond of the sea. But because the views are breathtaking, understandably, these apartments are somewhat pricey. The downside of this area in Dubai is that the roads are not adequate for the number of residents. Also, the streets can sometimes become crammed with cars. This can get worse if there are any road constructions being done. However, you must see it yourself before making a decision. This is ideal for young couples or singles who enjoy the buzz of activity because this is packed with new apartment buildings. 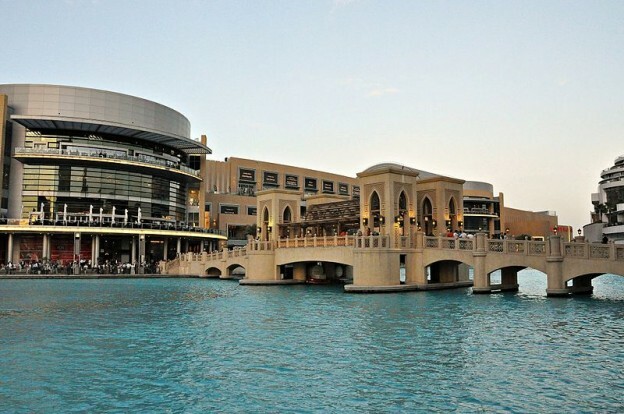 It also has some of the good restaurants in Dubai. DIFC is within walking distance to Dubai Mall. Most of the apartments have sufficient parking spaces. But if you do not have a car, getting a taxi here is easy. Dubai is constantly changing. The areas that were once considered far away are now at the center of the emirate. Places that previously had no services can have them up and running in just 6 months. As such, do not let a specific location’s appearance and features today discourage you. Instead, check out their future plans and determine if these can be a good fit for you (or for you and your family). If you are the type of person who can thrive on excitement and buzz, Dubai can be the best place to call home.